My son’s favorite food in the whole world is pizza. He would eat it 7 days a week if we let him. When we go out for pizza… he’s a cheese man (sometimes pepperoni). In other words he likes super basic, plain pizza… no crazy toppings. So, I set out to create a pizza that I could make at home with fresh ingredients that he would actually eat! This pizza is super easy to make and incredibly delicious. 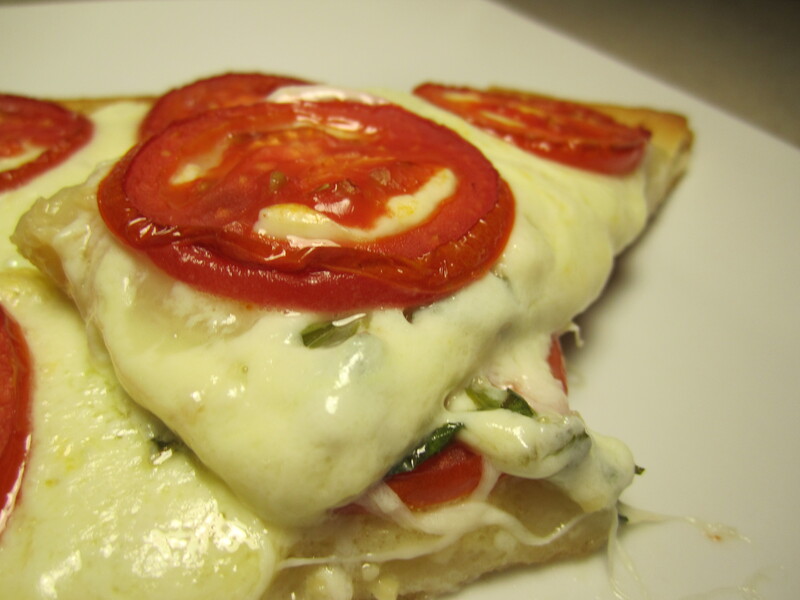 I use refrigerated pizza dough but you can make your own. You could even get some uncooked dough from your favorite local pizza shop! The beauty of this pizza is how quickly you can make something that has such incredible flavor. The key to making this pizza is using fresh mozzarella, basil, and tomatoes. Luckily we live in a time where these ingredients can be found in the grocery store pretty much year round. You can make this for a family dinner (yes, the kids will eat it too) or for a dinner party. 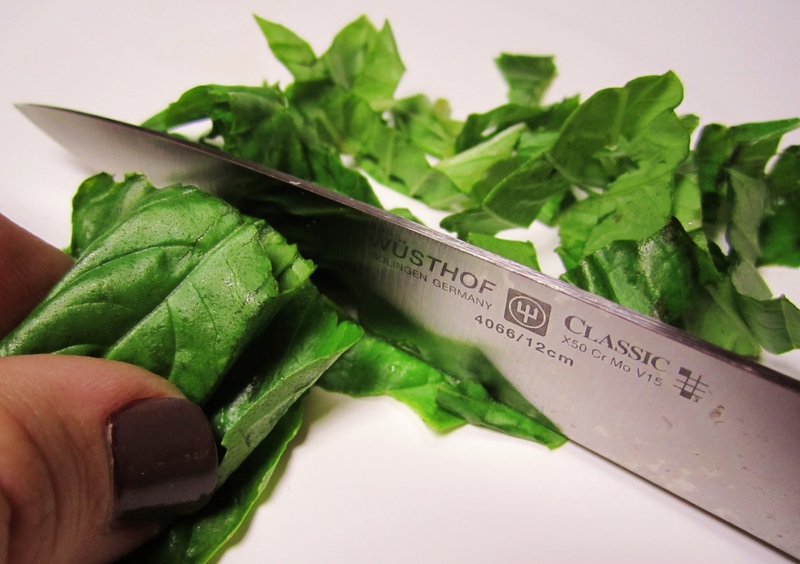 Just cut it in to small pieces and serve on a platter. It will totally impress your friends and family. 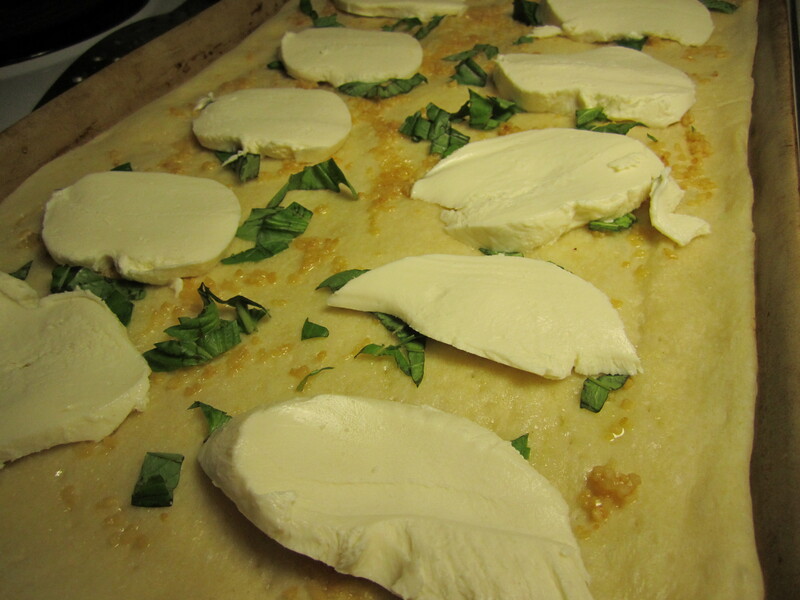 Preheat the oven to 350 degrees or according to the pizza dough directions (or recipe). 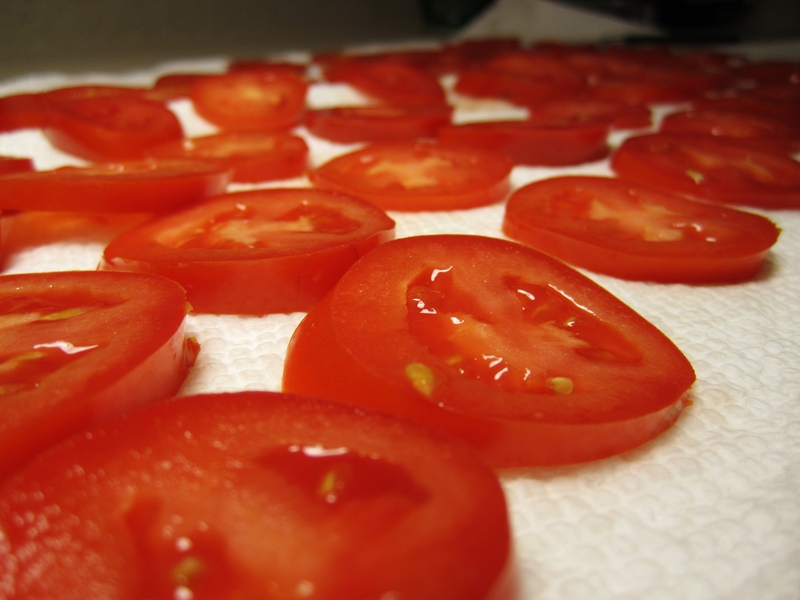 Slice your tomatoes and lay them on paper towels to absorb the moisture from the tomatoes. Otherwise, you will have soggy pizza. Let these sit for at least 10- 15 min. You may want to put a paper towel on top as well to really get all that moisture out! Grease your pan (I use Pam) and then roll out your dough as evenly as possible. I use a 9”x13” baking stone pan. You can use a round baking stone or a cookie sheet with a lip (make sure it is a dark pan or the pizza crust won’t brown). Bake your pizza dough for 8-10 min before putting any toppings on it. 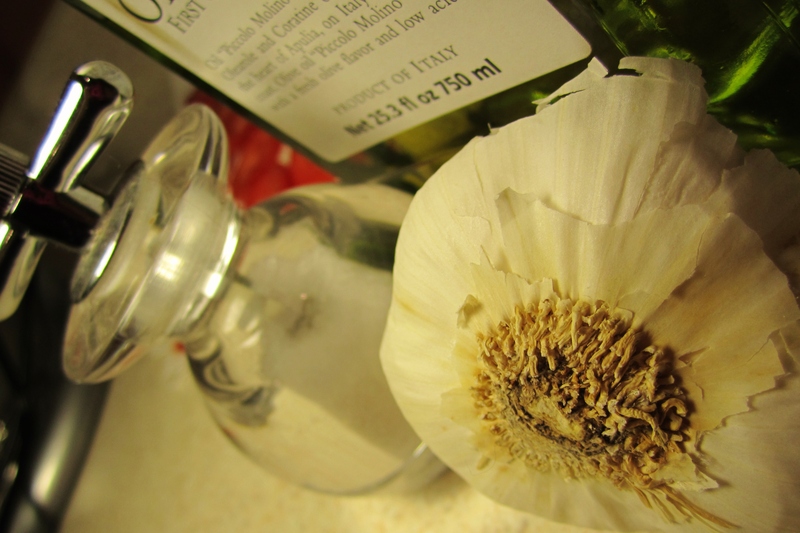 Once you have baked the dough, brush on olive oil and add garlic. Try to get this as even as possible. Sprinkle the salt and then the basil. 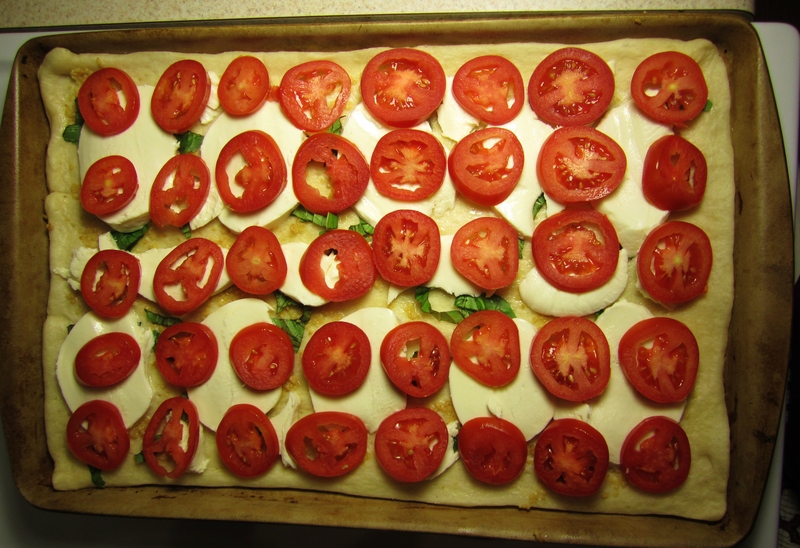 Layer the mozzarella and finally the tomatoes on top. Bake for 15 min then check. You want the cheese to buble and the crust to brown. Of course everyone has a preference to the doneness of their pizza. I like mine super crispy so I cook my pizza a little longer than normal. Entry filed under: Uncategorized. 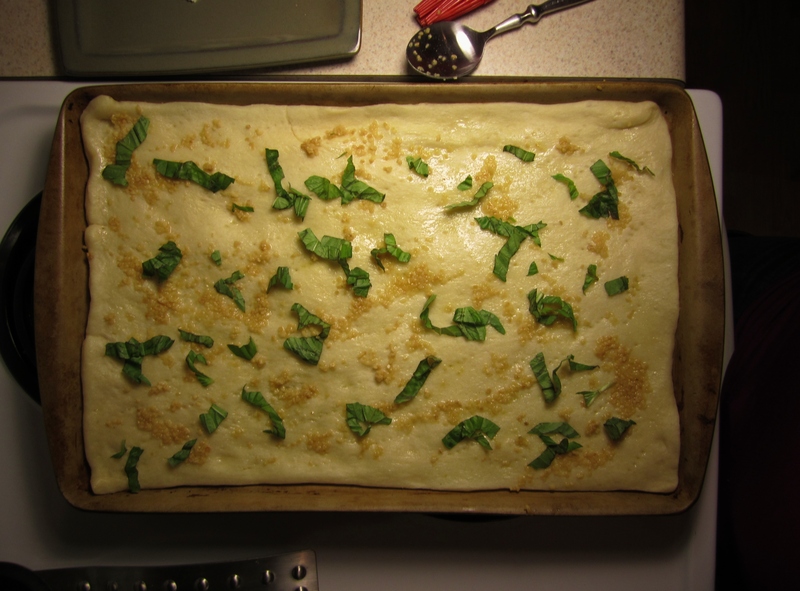 Tags: Asheville, Bake at Home, basil, Culinary, Kid approved, mozzarella, pizza, Recipes, Restaurant, roma tomatoes. I like simple pizza too! This looks wonderful! 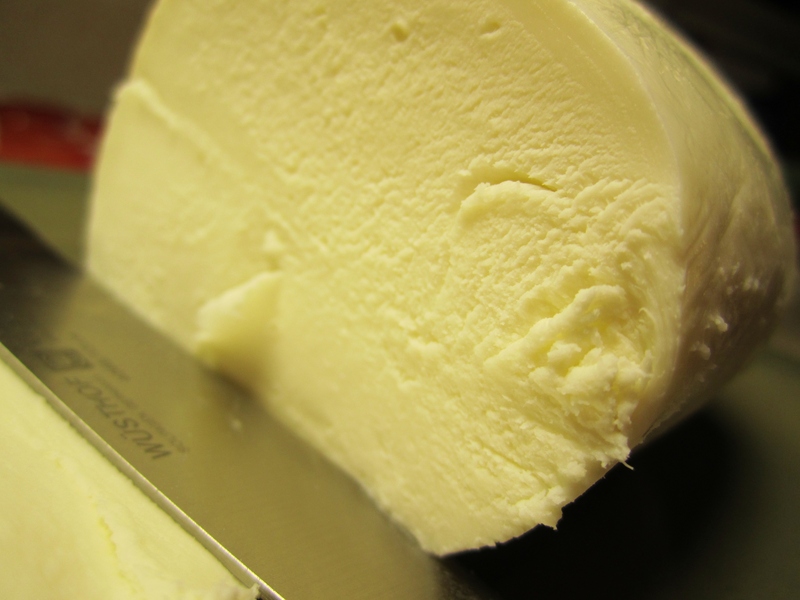 I love that you used fresh mozzarella. Yum! Thanks! 🙂 The fresh mozzarella MAKES this pizza!